This is week 6. Can’t believe that, this semster has 6 weeks left. I find a really interesting and useful article writen by Peter and Nick today which is highly relative with today’s lecture–Thomsen diagram. We had been practiced with Multi-demensional modelling several weeks, except dashboard, cycstal report, the third format of presentation layer is pivot table. After reading the article of Peter and Nick (2004), I think I get a further understand of pivot table and Thomsen diagram. There are several software tools to get access of OLAP data. Originally, pivot table which is a flexible spreadsheet style interface widely used by managers through dropping and dragging the dimensions. However, in reality, pivot table is difficult to use. For example, in order to use a pivot table to search for data in an OLAP database, users always have a lots of work to do. Besides, if users want to understand the meaning of data, it always need users to understand the complex multi-demensional data structure they are manipulating. As a result, alternative interface for accessing OLAP data is developed by Erik Thomsen which is named “Thomsen diagram”. In Thomsen diagram, the dimensions are shown as line segments and measures are simply listed to the right of the line segments. This format is easily for end users to understand. To support the argument of Thomsen diagram is an effective method to access OLAP than pivot table, Peter and Nick (2004) carried out an experiment that they choose few subjects which is related with OLAP-based systems and there are also 50 graduate students participate. This is really a complicated test and there are seven hypothesis. Whatever, the result obtained from this test is that the pivot table is not a very effective tool that users do not have background of excel performed badly. Actually, from today’s lecture and the reading by Peter and Nick, I think pivot table and Thomsen diagram has their own limitations. For instance, pivot table is flexible but at the same time, is has much flaws that users could just click + or – to display the data in the row and column. Compared with spreadsheet, users of pivot table could not manipulate data by themselves. About the limitations of Thomsen diagram, it will be complicated if the data in the dimension is complicated and has very big volumn. Such as the customer dimension in the telecommunication company. If this kind of data listed in the format of Thomsen diagram, there will be numerous line segments and the number of level will be huge. To sum up, there are several kinds of tools to access OLAP data, sometimes Thomsen diagram might be more effective than pivot table, it totaly depend on the situation of data demension, I think. 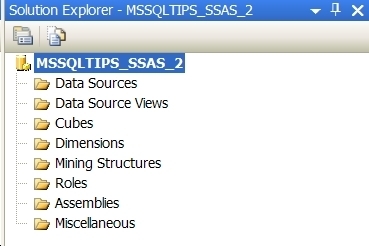 BI Development studio includes the analysis service project for OLAP and data mining. Analysis service project includes dimensions, mining structures, data sources and data source views. Data view is the filtered view of original database, it can create the hierarchy in the data view. The data in the data cube is different that it will not change the oringinal structure of data if any manipulations happened in the OLAP. 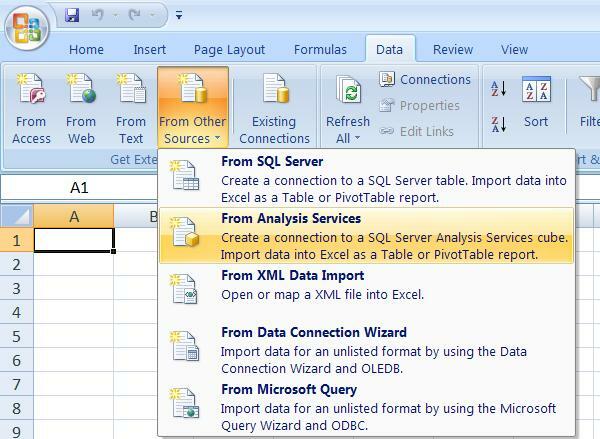 once the cube is deployed, we can use pivot table to access the cube.